With Summer-to-Fall wardrobe changes and the Back-to-School push, hangers can be a big item. Obviously there is an advantage to both buying and selling in bulk. 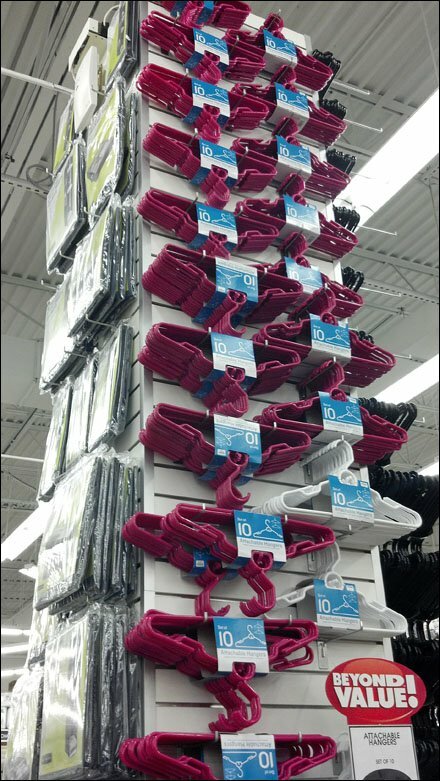 But how does the Visual Merchandiser and Store Staff deal with displaying all those clothes hangers? Here are two solutions. 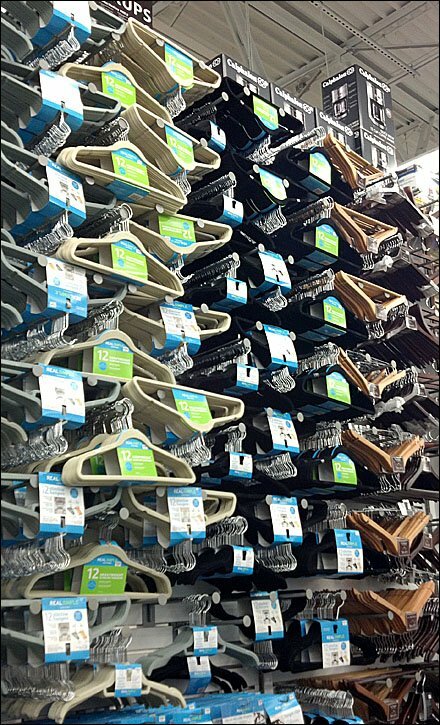 If you are not selling this many clothes hangers, you are being outgunned by your competition. CLICK the thumbnail for the second.